Co Enzyme Q10 - the cells natural ctalyst for energy release from food. 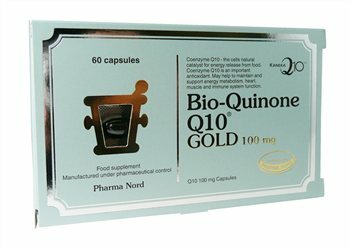 Co Enzyme Q10 is an important antioxidant. May help to maintain and support energy metabolism, heart, muscle and immune system function. Bulking agent: Vegetable oil, Capsule shell: Fish Gelatine*, Co Enzyme Q10, Humectant: Glycerol, Colour: Ammonia caramel, Humectant: Purified water. 1-4 capsules per day or as directed by a physician. Do not exceed recommended amount. To be taken with food.